Chord Transposer is the perfect addition to the Chord Memorizer. the Korg Polysix, the Korg Mono/Poly, the Roland Alpha Juno series and a few others. 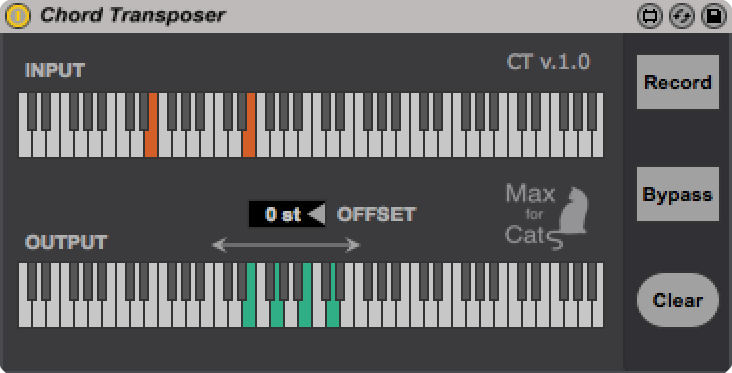 The Chord Transposer is a free upgrade of Chord Memorizer user and included in the Chord Memorizer pack for any new users. Posted in MIDI FX and tagged M4L MIDI FX.